Solid Oak-Steampunk Metal Accents: Medium Keys. Steampunk is a synthesis of Victorian and the machine age. 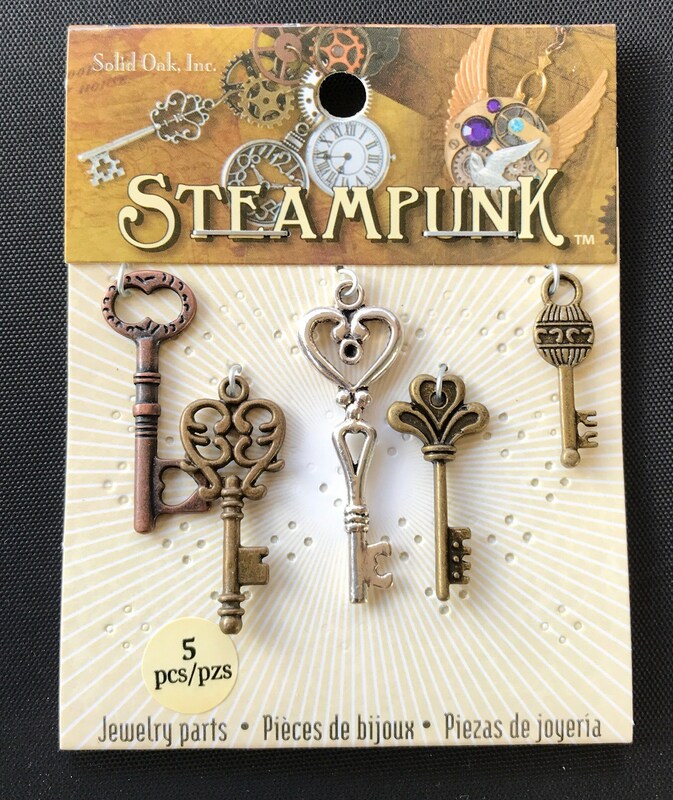 Solid Oak makes it easy to create amazing, unique jewelry and accessories in the Steampunk tradition- without scavenging through yard sales and flea markets for interesting parts! This 3-3/4x2-7/8 inch package contains five jewelry pieces in an assortment of sizes. Imported.